Contact Beckway for all Garage Door products, repairs & installations. Beckway Door Provides garage door installation, repair, troubleshooting in and around Metro Detroit. When it comes to doors, we are experts. Looks an be deceiving. From a distance, you see wood. Up close, it's sturdy, durable, low-maintenance steel. Authentic carriage house look with pinch-resistant sections and modern functionality. 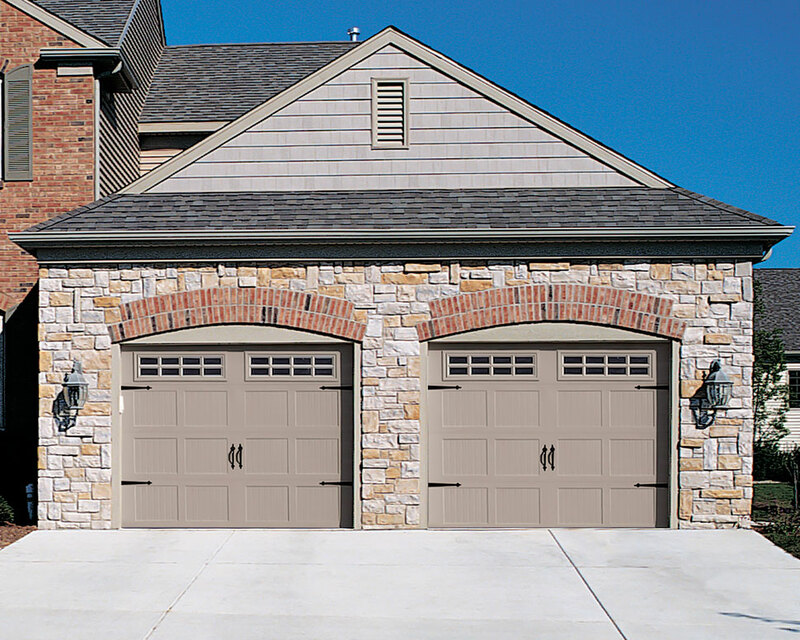 Wood garage doors are the ultimate in classic craftsmanship combined with modern engineering. From old style carriage house to contemporary styling, the doors are manufactured to your standards and specifications. The doors can be further enhanced with a variety of classically finished decorative hardware and window designs. They're unique. They're stylish. These reliable, environmentally friendly doors are made with interior and exterior skins containing a minimum of 80% recycled wood and resins. Beckway Doors have the rich natural look of wood and the strength of steel.